Fall in love with Fiona Finkelstein in this funny, thoughtful and delightful young series for girls. Sometimes Fiona Finkelstein’s life seems to be a lot like a TV show – everywhere she goes, there’s a lot of drama. But that’s what being 9 years old in Ordinary, Maryland, is like when your dad is the chief meteorologist for the local TV station, your mom lives in California and stars in a soap opera, and your little brother thinks he’s a superhero. 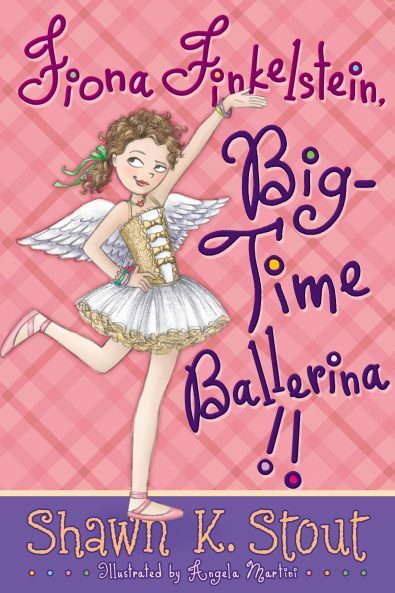 Right now life is even better than TV, because Fiona has a chance to live her dream and become a big-time ballerina. There’s just one problem: In her last recital, Fiona starred as the unforgettable Fiona VOMETstein – all over the stage, and all over Benevolence Castle’s can-can costume. Can Fiona overcome her fears and star in a production of The Nutcracker? Or she will remain the only one in her family who has the worst case of stage fright ever? Shawn Stout’s delightful Penelope Crumb rivals Ramona, Clementine and Judy Moody! As well as the PENELOPE CRUMB series, Shawn’s also the author of the FIONA FINKELSTEIN mini-series and the standalone novel, A TINY PIECE OF SKY. 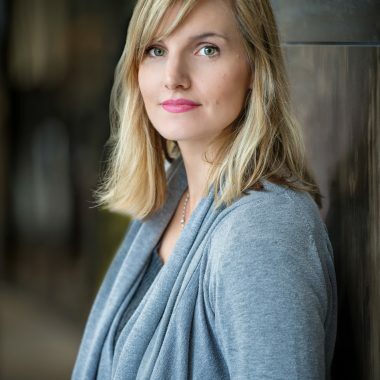 She earned an MFA in Writing for Children at Vermont College of the Fine Arts in 2009 and lives in Frederick, Maryland with her husband and two dogs.